Dressing correct and well for your photos is probably the most important thing that influences the photos, even more than the location, light or weather. I've put together this easy to follow guide to help you put together the most incredible outfit that will showcase your individuality as well as make you look and feel like a million bucks. All the outfit images below are put together with online images from Poetry Stores, Old Khaki and Woolworths. When shopping for clothes for your photo session it is important to make sure your outfits won't clash in terms of colour and pattern, it's the number one downfall to photos. Things to consider (especially for my style of photography). Neutral colours work best, think soft pastels and natural colours. Don't be afraid to bring patterns into your clothes, if you are wearing a beige blouse, your fiancé can maybe wear a checkered navy button up shirt. A white dress shirt on a man never fails, in this case you can consider wearing a floral print dress. Places to consider getting your clothes from. My absolute favourite is Woolworths, they offer so many different ranges to choose from, try Country Road, Trenery, David Jones and Studio.W. Another firm favourite is Poetry. Their whimsical floral pattern dresses are always flattering, also look into Silver Swallow Dresses for hire. For guys I also suggest Woolworths and browsing Old Khaki won't hurt, but stay away from the mixed colour checkered shirts. Rather pick up one of their beautiful plain shirts or a nice sweater. I have had couples in the past who buy the clothes they want to wear, keep the tags on and after the photo session return the items for a full refund. You need to make sure that the store you are buying from offers a cash refund and not just store credit. If you opt for this option you need to be extra careful not to damage or spill on the clothing. My tips on matching your outfits and colours. I would recommend doing your research on Pinterest. You will easily see what colours work well together and what styles of clothes will fit you guys. Most stores has an online shop, go to their website and place the images together to try and imagine what your outfits would look like. Feel free to reach out to me and ask as many questions as you want, send me photos of options and I'll help you make a decision that will make you look good on camera. Sometimes your location will determine your colour scheme. Try and imagine what you want to look like and what colours would help you achieve your desired outcome. For a city portrait session I would recommend something 'colder' maybe a white and navy scheme to compliment all the glass and concrete of your surroundings. Dry grassland is very dull, stay away from muted colours, add some pattern and colour. A nice flowy dress will look amazing when the wind picks it up a bit. If you want to go to the beach, pastels and light colours always works incredible with the waves and sand. Men can wear shorts on the beach to make it more informal. Lush grassland has a bit more of a safari feel, go with shades of khaki and white. 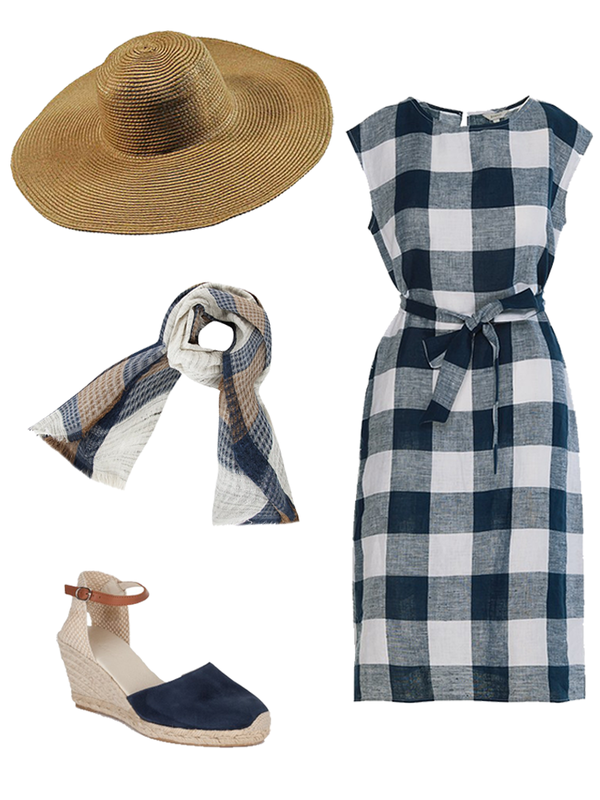 Have a look at the linen dresses Poetry has to offer to compliment the rugged terrain. I would say this is more important that getting your make-up professionally done (sorry all my make-up artist friends). Accessories can add so much to a still photo, it adds flare, elegance and a personal touch more unique to you. A simple hat or scarf already makes a world of difference. Your accessories doesn't need to make an appearance in every photo, but where we decide to use them will set you apart and add individuality. Guys, Stay far away from these. It's usually the guys who struggle to put on a show in front of the camera (I'm the same way). They're reluctant to get dressed and normally go with comfort over style. About 20min into all my photoshoots every guy warms up, he realises that it's actually a lot of fun and he's getting a lot of attention from his girl and then the mood changes. So, with the promise of a wonderful time and a lot of love ahead, please make an effort to avoid the following clothing items. Thin pinstripe shirts or pants. Checkered shirts of different colour stripes. Any and all type of sport clothing. In general, please stay away from the SuperSport brand shirts.